April 09, 2019 - 6:30 p.m. ~ April 09, 2019 - 9:30 p.m.
Maryna is a knitting instructor and designer behind the "10 Rows a Day" educational website and YouTube channel. She has been using the Russian knitting style for many years and loves how simple and efficient it is. Because Russian knitting is very gentle to our wrists, it works great for knitters of all age groups. 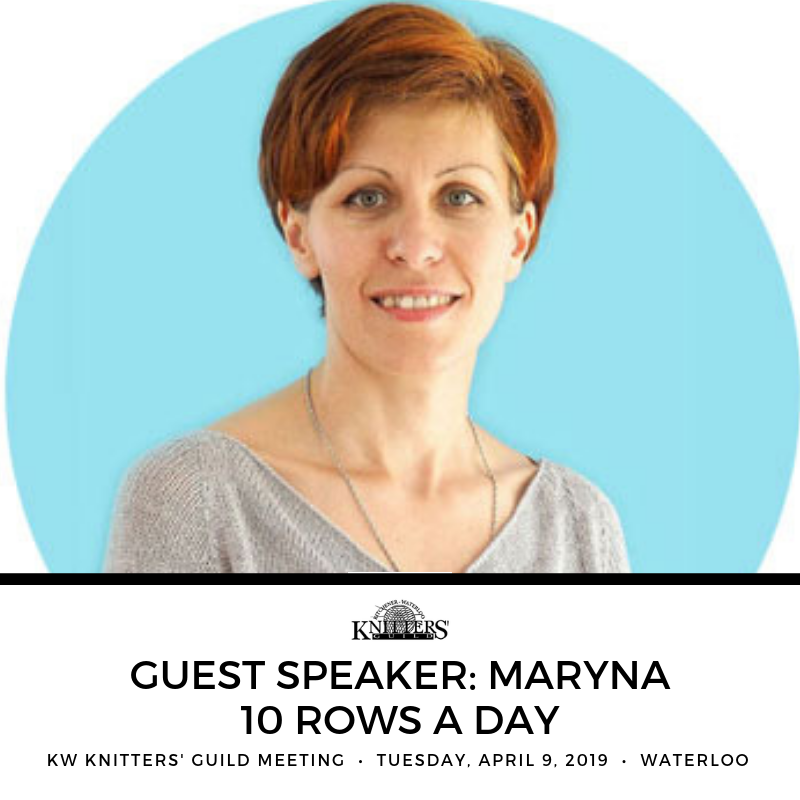 Maryna will show the basics of Russian knitting to KW Knitters' Guild members as well as talk a bit about the historical background and reasons why this knitting style is one of the most efficient ways to knit. Monthly K-W Knitters' Guild meetings run from September through May on the 2nd Tuesday of each month. Members may attend all meetings free of charge. Guests may attend up to two meetings per year for a nominal fee.